“You will know by his Tie,” The Psychic said after telling me that my father, who had passed away just 5 months earlier, is going to find a husband for me. “But when?” I asked, to which she responded “You’ve got to give him some time.” She spoke in the same cadence as my father. I had chills. “Maybe it’s Thai food that’s a sign of your husband” said my friend Syd, to which I rolled my eyes thinking her comment was silly. It was Syd who arranged our adventure to the Psychic. Her father had also passed away recently, just 8 months earlier. She had experienced many signs from him and like me, wanted reassurance that he was around – just not in physical form. Syd had heard good things about this particular Psychic who was visiting New York City from Quebec including that Doctors in Canada would rely on her experience to determine if children were psychotic or actually seeing spirits. She made our appointments many weeks earlier to assure our time with her. As we were on our way home in a taxi, bubbling from the excitement of what each of us were told, we noticed that Betty Boop car matts were under our feet. We were especially excited because Syd, who’s an artist, made the Betty Boop figurine molds for the Danbury Mint Betty Boop collectible dolls, at the time. Her father was very proud of her work and loved Betty Boop. My father, who adored Syd, loved the Betty Boop figurines. They both loved the Marilyn Monroe doll – where Betty’s skirt is blowing up. Of course Syd’s father had this doll. 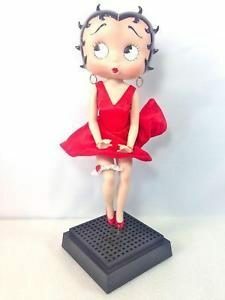 But Syd had given my father this same Betty Boop collectible for his 75th birthday, just five years before he passed. It had a special place on display in his home. The car matts in our taxi were illustrations of the Marilyn Betty Boop! You can imagine our excitement. A few weeks after that, we were in my apartment deciding what we should order-in for dinner. “What’s your favorite food?” he asked. At that moment in time it was Japanese. “What’s yours,” I asked to which he replied, “Thai!” Later that night as he left my apartment and was in the hallway walking to the elevator, rolling the suitcase that accompanied him to the trade show he was at earlier that day, I noticed that his tie was hanging out of the bag and trailing along the floor. I was completely speechless. It was Thai and Tie!! To me it was a sign, just to make sure there’s no misunderstandings. It was like a spirit communicating to me: we have it covered! It was a series of signs and synchronicities this past Fourth of July weekend. I was with my angelic friend, Maureen. We were in a taxi, on our way to the Javits Center to see Amma, a spiritual leader from India known for giving hugs + blessings. As we got out of the Taxi I noticed the floor matts featured Tinker Bell. I made a mention to Maureen and she told me that she lives on Tinker Street. We had a fulfilling and wonderful day and reflected on the Tinker Bell sign. I figured that the meaning would reveal itself at some point. 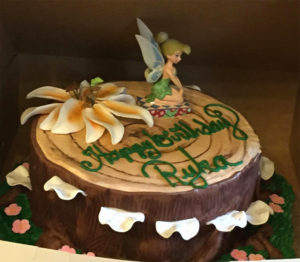 In yoga the next morning, as I was in Triangle pose, I noticed the woman next to me had a Tinker Bell Tattoo. Later that same day, I was flipping through the TV directory and saw that the movie HOOK was airing. The description included: “Tinker Bell, played by Julie Roberts.” Even though I was tuning in halfway, it was clear that I needed to watch. I had it on for about 5 minutes and really wasn’t enjoying it – a lot of characters were lost, orphaned children which was depressing and just as I was about to turn it off, a character named Jack was announced. It’s significant as my father’s name was Jack. This was a sign for me to stick with it. AND Then just as Tinker Bell enters, for the first time that I’m watching, a big beautiful Bubble floats by my window (I’m on the 10th floor). I ran to the window to make sure I was seeing correctly – and there was the big iridescent bubble in the distance. It’s significant to me because earlier in the week, I was telling my husband that I was implementing a new perspective in my everyday life. That, when I feel fear or doubt, I was going to remember to breathe and replace that thought with Joy – because – at least at this very moment – I have so much to be grateful and joyful about and the truth is, everything is just fine and I’m going to enjoy this Life and focus on the wonderful surprises that usually go unnoticed! One of the last lines of the movie was: To Live is an awfully Big Adventure. OH and then, I happened to glance at the clock as I’m contemplating this wonderful adventure and it was 5:55, a sign that always reminds me that my Mother is around. I sent this experience to my friend Syd. I wanted her to know about this, especially because we had a series of synchonicities having to do with Betty Boop car matts about 16 years ago. Syd emailed me and asked if I knew she had a statute of Tinker Bell in her work studio. (It’s the same town that Maureen lives!) And that a store, that Syd used to own with her husband, just moved to Tinker street! The same street that Maureen lives!!! I was meeting 3 friends for dinner on Wednesday, Nov 19. First Stephen arrived and sits down. He said, “Today was a Whirlwind.” I said, “I like that word.” I’m looking for a word to replace “busy” and Whirlwind could work.” We continue catching up when Gil arrives about 10 minutes later. The restaurant is filling up and getting louder. Gil sits down and updates us about the journey of purchasing his new apartment. He’s waiting to hear if the board accepted him. The following morning, during meditation time I picked up My FSS book. I was reading chapter 4. The first affirmation reads: I give thanks for my Whirlwind success. I Sweep all before me, for I work with the Spirit and follow the Divine Plan of my life. The decks are cleared for Divine action. (I was elated with the word WHIRLWIND). I continued reading some more and did some meditation. Then, I got up to do a few errands around the house and I realized I didn’t sit and focus on sending Love to my Aunt Mae, who passed away a few days earlier. 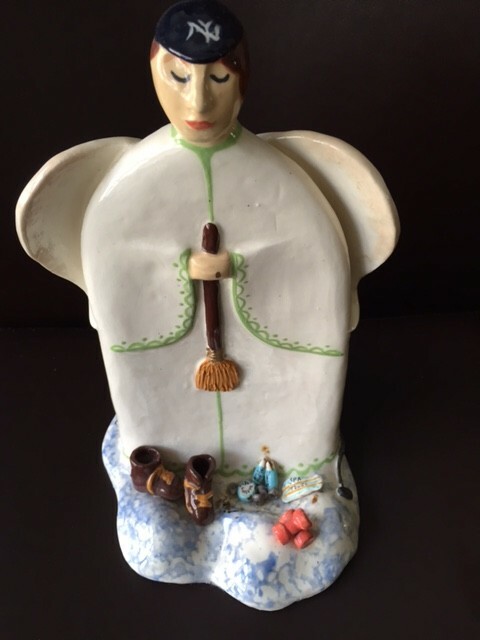 I go back to my cushion and look at the altar I set up for her – it’s a candle and an Angel she had made especially for me – before I got married. I’m looking at the angel and realize she’s holding a Broom. The connection between Broom and Sweep made me so happy. Just after this morning experience, I was telling Rob these turn of events, since the evening before. Just as I mention my Aunt Mae’s name, the package of Sage falls off the shelf! and make s loud thump! Below is the John O’Donohue blessing/poem featured in John’s last book To Bless the Space Between Us. John was a new client that I had just agreed to work with — to promote To Bless The Space Between Us. The Peacock stayed by my home for 2 days-whatever room I was in – I would see the Peacock watching me through the window. 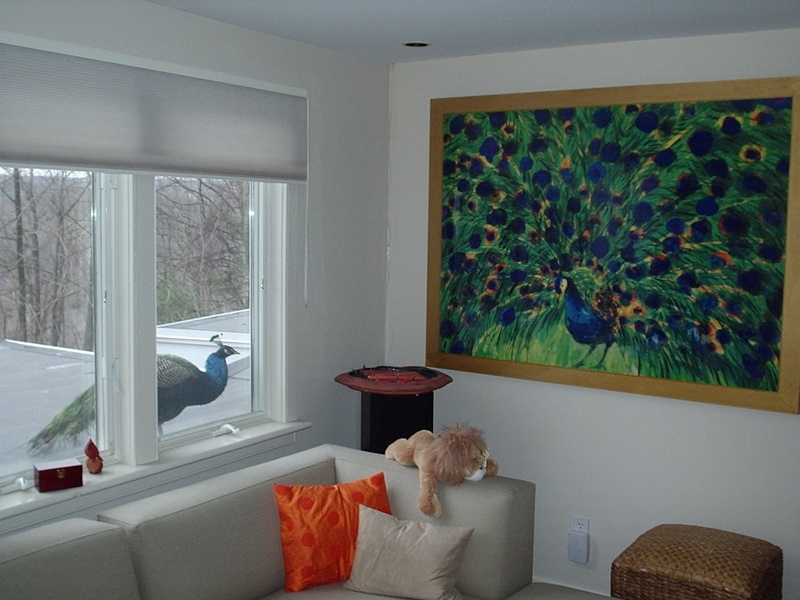 While I was out of the house my husband Rob caught this photo of the Peacock looking into our window at a painting of a Peacock in our living room. Soon after, I saw the below poem and was frozen with delight when I read the second verse. Soon after, John’s agent called and told me that John’s wish was for me to work on the book and that the family insisted I be retained for the project. At that point, I could not refuse. I was sent a copy of the book and once again was breathless to find there were Peacock heads on the cover design. There is MUCH more to this “happening” and Still to this day, the mystery continues to unfold.